I am always amazed by what another country has to offer. 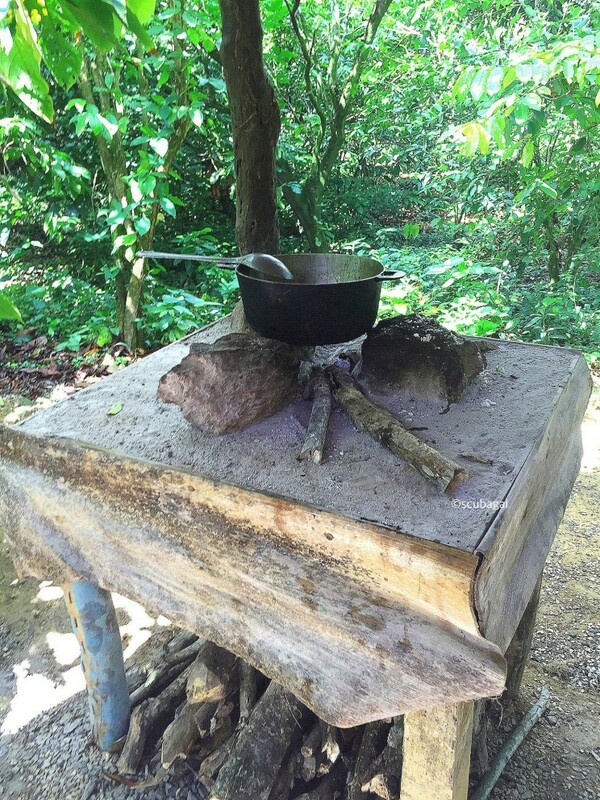 So during my latest travel excursion, I made the decision to explore the countryside of the Dominican Republic. I was hoping that I would catch the beauty of this subtropical island, as well as to discover some of its fantastic exports! With me were three cameras; my GoPro Hero4 Black, my Sony a5000, and my iPhone 6. I was not disappointed by what I discovered, and I can’t wait to share what I learned with you! Before I started my exploration, I turned to wake up with a warm mug of coffee. I would soon discover that this particular cup would not to be just like any regular coffee, but an experience. At first, I couldn’t believe my eyes that I got to watch my coffee beans being roasted, crushed and brewed all in real time! How exciting! It turned out to be the most amazing and freshest cup of coffee I ever had. As far as the presentation and taste, it was short and extremely strong. Short because it was served in a small espresso cup, and strong because if you aren’t used to it, it would make you blow steam. 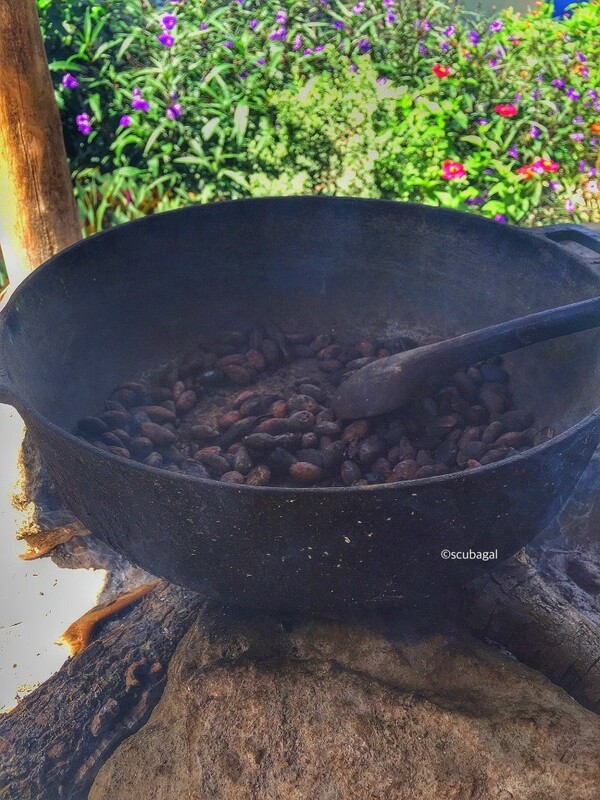 I learned that originally coffee beans were brought over from Africa, to the island of Hispaniola in the eighteenth century by the Spanish colonists. Soon it became a lucrative farming product as well as a national obsession. The coffee that is produced in the Dominican Republic is Arabica, generally held to be the superior variety. Believe me, it certainly tasted superior. 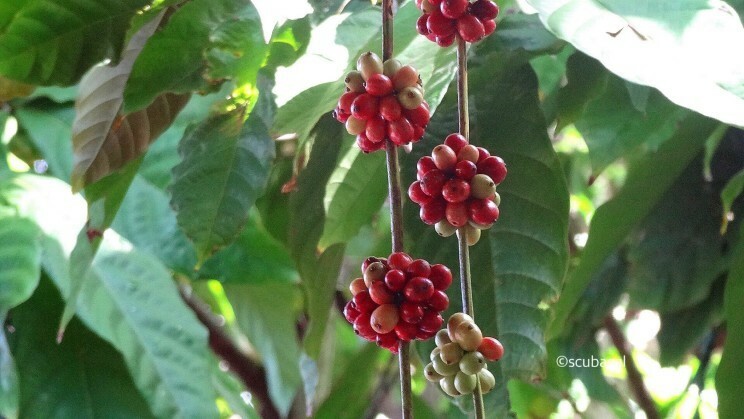 I didn’t know it, but coffee beans look like berries and grows in clusters like these on a tree. When ripe, as you can see, they turn bright red. I had to taste it. The outer part, is surprisingly, quite bitter. But the inside reminds me of a grape, and tastes sweet. Once you get through those layers, there is a slimy layer that coats the bean. I was told that this slime protects the bean itself. All that I know is that this coffee tasted so magnificent, that I bought several bags of Santa Domingo Café home for future morning brews. 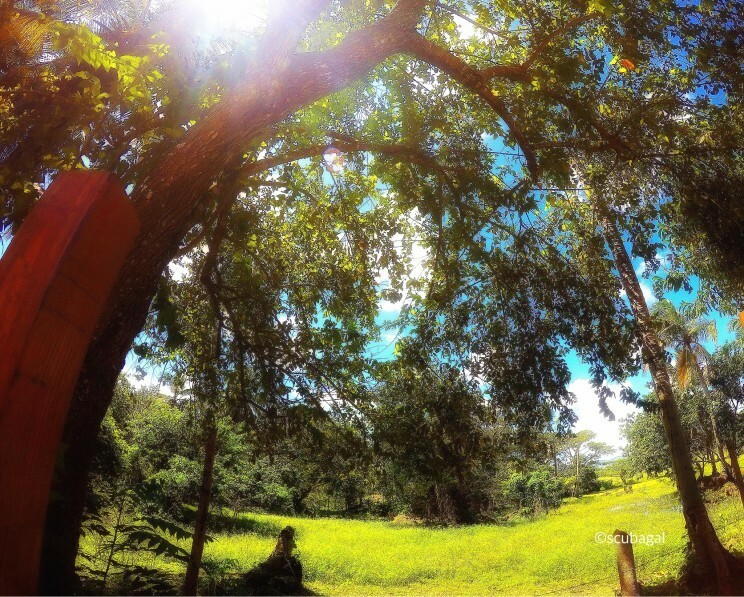 It was the perfect beginning to my day in the countryside of Dominican Republic. I don’t smoke cigarettes, but I am a firm believer in the expression, when in Rome, do as the Romans, so to speak. All expressions aside, the Dominican Republic is the leading country worldwide when it comes to tobacco cultivation. Its cigars are also quite popular, especially in the United States. They have recently been able to overtake their direct rival, the Havana cigar, as the world’s most popular tobacco. I learned all about what makes a good cigar: combustibility, texture, taste, elasticity, smell, colour and a good balance between nicotine and oils. 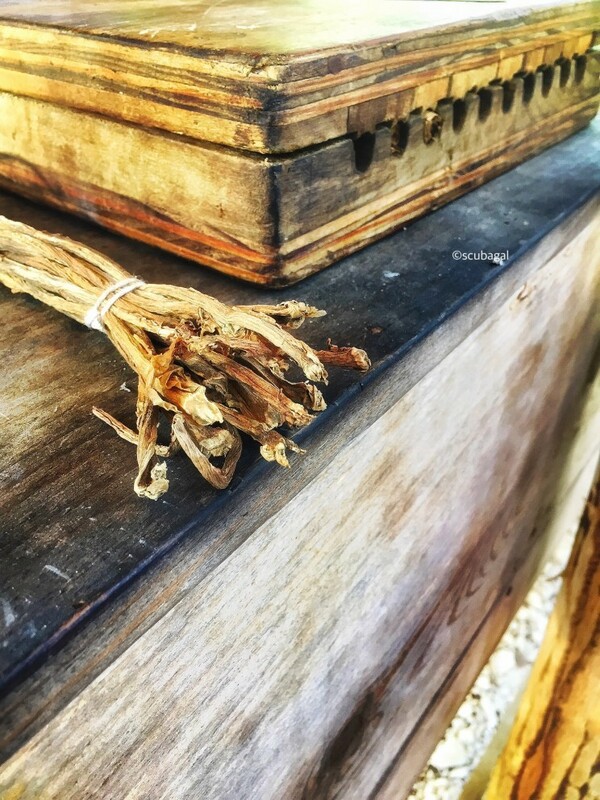 Dominican cigars trump in all of these characteristics, as well as having a specific character and quality which only expert smokers are able to appreciate and distinguish. When a Dominican pro rolled the cigar in front of me, I couldn’t help but light up and then, cough. I knew, as rookie as I was, that I was smoking something premium. So, I ended up purchasing a high end box of Torpedos to bring home as gifts for some friends who do know what it’s like to smoke a quality cigar. There are so many reasons that coconuts are good for you. Growing on what is called, “the tree of life”, it was an amazing experience to witness how they picked the coconuts from the trees and transformed them into products. I actually learned how to do this! 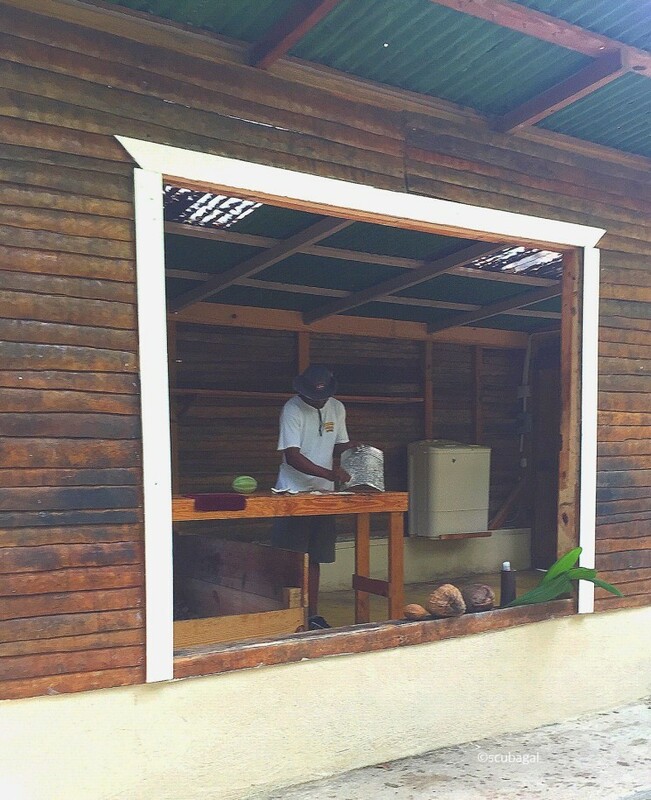 Each part of the coconut is used to make either coconut water, milk, oil, etc. You can even use the fibres as a basic material for many other products like mattresses, floor mats, doormats, and brushes. These fibres are called, coir, and it is the fibrous material between the hard, internal shell and the outside coat of a coconut. White coir is harvested from unripe coconuts, and is used for making finer brushes, string, rope and fishing nets. Since I use a lot of coconut oil in my cooking, I decided to watch this process. The benefits of using coconut oil have been proven to include skin care, stress relief, weight loss, boosted immune system, good digestion and improved metabolism. It also be theorized to help with kidney problems, heart disease, high blood pressure, diabetes, HIV, and cancer, while helping to improve bone strength. Basically it is an awesome product. I was amazed to discover that the Dominicans proclaim this to also be the wonder cure for baldness. A slap of coconut oil on your head a day, apparently keeps the shedding away. I figured I would purchase a bottle of coconut oil to bring home for a friend who may appreciate these health benefits. How can we bake without it? Pure vanilla extract is an essential ingredient, used for both sweet and savory foods, including ice cream, soft drinks, eggnog, chocolate, candy, baked goods of all kinds, and liqueurs. A dash of pure vanilla also adds exciting flavors to salad dressings, vegetables, fruits, and flavored butters. I personally use a couple of drops of it in my bubble bath. 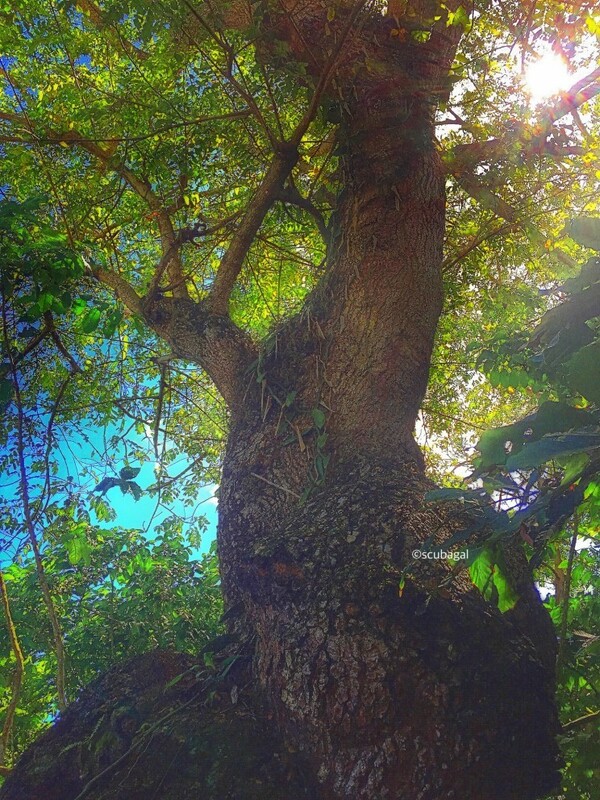 When I finally saw the vine of vanilla growing up this tree, I was quite frankly amazed. I didn’t know what vanilla looked like in the wild, and I was just blown away how this little bean could climb so high. It reminded me of the story of Jack and the Beanstalk! I of course, picked up several bottles of vanilla extract. I simply couldn’t resist that amazing smell from the wild. The fruit and vegetables of the Dominican Republic is something to be experienced. I was fortunate to see bananas, pineapples, cacao, aloe, sugar cane, and a variety of other botanies being harvested on these farms. What simply amazed me were the pineapples, as I learned that they don’t grow in trees, but actually sprouted from the ground! With major fruit companies such as, Dole Organics, having a vested interest in the quality and quantity of its foods, fruits that they take from the Dominican are easily one of its biggest targets. 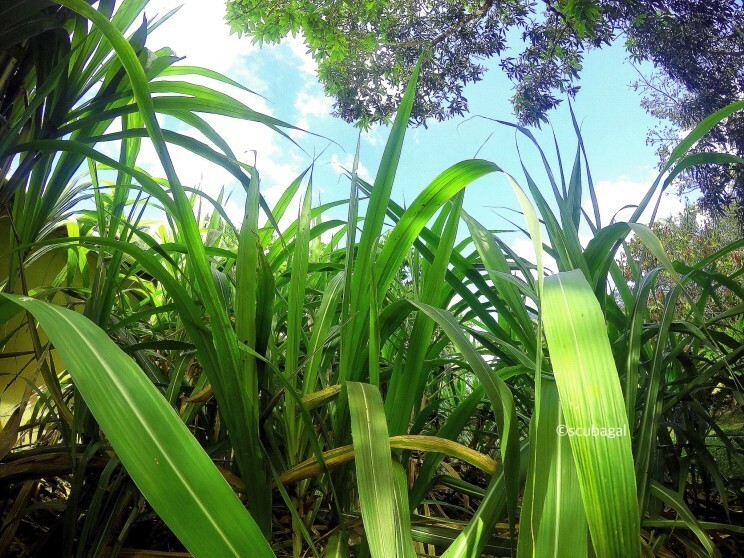 As I drove through the countryside, with rows upon rows of pineapples growing from the ground, I munched a piece of sugar cane and pondered this. I was just blown away by how much of the land has been cultivated for produce. With my cameras at hand, I tried to capture as much beauty as I could of this incredible countryside, and its produce. The Dominican Republic has so much to offer for the tourist that prefers the road less travelled. Truly, I need to go back and see some more of this amazing country in the future. If anything, I want to have some more of that incredible coffee under that warm tropical sunshine to sip slowly and ponder life.